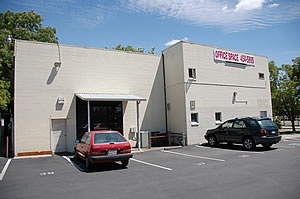 APS Graphic Center is Sacramento’s new 50,000 square foot home for multimedia arts and design. It is a multimedia hub focused on artists and entrepreneurs in fashion, design, digital media, graphic art, video, photography, techonology, production, performance arts, and other areas of multimedia. The Center offers private office suites, fashion stations, designer workspaces, editing bays, photography rooms, learning exhange centers, large event rooms, conference rooms, and more. 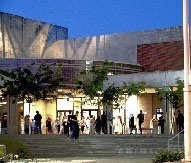 Sacramento’s state-of-the-art performance space, the Benvenuti Performing Arts Center, opened in June 2007. Featuring a "full fly" system that allows sets to be moved on and off stage quickly, the 364-seat theatre produces and hosts productions with expanded artistic techniques in set design. Other technical features of the theatre include an advanced computer console for lighting and 3D modeling (using a ETC Emphasis 3D server), an integrated analog/digital sound console and digital sound reinforcement, a wireless microphone system, and rigging for motorized, counter-weight, and hemp fly systems. The California Stage Company produces theatre, plays, new works, children's theatre, French plays, fantasy theatre, school tours, and educational theatre that are performed at the California Stage Theatre. The Company is under the artistic direction of Ray Tatar, who has been with the California Arts Council for 21 years and has special expertise in theatre. The California Stage, along with the Wilkerson Theatre and Threepenny Playhouse, is located within the R25 Arts Complex. Capital Dance Center is one of the largest ballroom dance studios in the area with a premier dance floor and top-notch instructors. it specializes in Swing, Latin and Ballroom Lessons and many special events including live band nights. 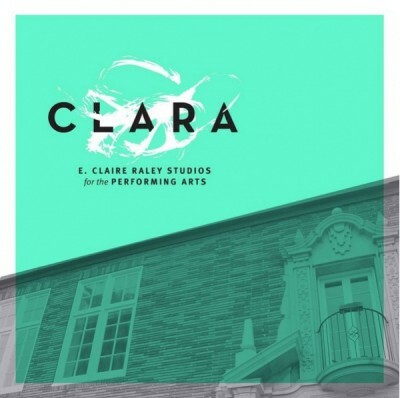 Affectionately named CLARA, the E. Claire Raley Studios for the Performing Arts provides studios and performance space for professional and community-based arts groups and a place for creative collisions and collaborations. As the newest cultural icon of the Sacramento Downtown Renaissance, CLARA already is rich in history — housed within the 100-year-old historic Fremont School in midtown Sacramento — and bringing to life the fearless spirit, love of the arts and culture E. Claire Raley passed down through generations of the Raley-Teel family. Rooted in the strong belief that arts are essential to the human spirit, fosters lifetime learning, and critical to economic development for the Sacramento region, CLARA also provides access to quality arts education in partnership with Sacramento City Unified School District. CLARA is currently the home of the Alliance Francaise de Sacramento, Brazilian Center for Cultural Exchange of Sacramento, Capital Stage, McKeever School of Irish Dance, Sacramento Ballet, and Sacramento Preparatory Music Academy. 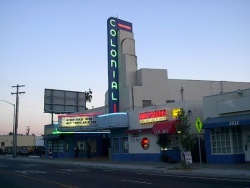 The historic Colonial Theatre is an entertainment facility serving the Sacramento region. The atmosphere here is like no other–much of the theatre has been preserved to its original charm, providing some of the best entertainment showcases since the early 1930s. The Colonial Theatre is a general admission venue with 580 seats featuring films, stage performances, concerts, amatuer wrestling/boxing and other community events and is available for rental. Situated in the heart of downtown at 13 & L Streets, directly across from Capitol Park and within walking distant to first-rate hotels and restaurants, the 2,422-seat Sacramento Community Center Theater is a popular venue for audiences and presenters alike. The Theater hosts a variety of top caliber events — from performances by Sacramento performing arts groups to national tours of singers, comedians, and Broadway musicals. Consumnes River College (CRC), a member of the Los Rios Community College District, has a rich schedule of academic, cultural, and student-planned events. The campus consists of 12 permanent buildings, including fiber optics and satellite transmission capabilities for the latest in information/communication services. The college offers a broad option of more than 60 occupational degree programs, and a comprehensive curriculum of transfer courses. Cosumnes River College has emerged with very much its own identity, small enough to offer personalized attention, yet large enough to offer a comprehensive postsecondary education to the community it serves. The college originally opened on September 14, 1970, with 1,800 day and 350 evening students, and now enrolls 11,000 students. Facilities included the science building, automotive and technology complex, women’s physical education building, pool, and the library building. In September 1975, the Business/Social Science classroom building was dedicated, the first since the college opened. The computer laboratory, located there, is equipped with state-of-the-art data processing equipment that supports many areas of the college curriculum. The Cafeteria/College Center opened in Fall 1990 with facilities for both the instructional foodservice program and student/staff needs. Phase II of the College Center opened in June 1991 for Admissions/Records, Financial Aid, Business Services, Administration and the Bookstore. A new visual and performing arts complex was opened in October 1995, thus completing the college’s original facilities master plan. The intimate 140 seat theatre at Cosumnes River College presents updates of classics, contemporary works and some of the best American plays of the past fifty years. The mission is to provide the highest quality theatre that enriches the community and incorporates its diversity. 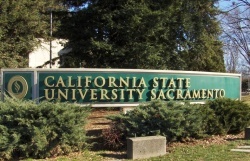 Sacramento State is a vibrant metropolitan university that is among the largest campuses in the California State University system. We enroll a multicultural student body of 28,000, and graduate about 6,000 students each year. Despite our size, quality teaching in small classes remains a top priority. Students enjoy personalized attention from their professors, as well as extensive research and internship opportunities in Sacramento, the heart of California government. We’re particularly proud of our beautiful 300-acre campus, with its lush landscaping and 3,000 trees. Miles of trails stretch along the nearby American River Parkway, linking our campus and student housing with recreational areas such as Folsom Lake and Old Sacramento. Sacramento State remains one of the nation’s best higher education values, with student fees among the lowest in the nation. About half of our students receive some form of financial assistance. For a detailed campus map, click here. Not comedy about sports, but comedy played as a sport! Two teams of act-letes compete for audience laughs and points while improvising scenes, games, and musicals based on audience suggestions. A referee calls fouls and keeps the match moving at a blistering pace. Audience members vote for the winners and sometimes even wind up on stage! 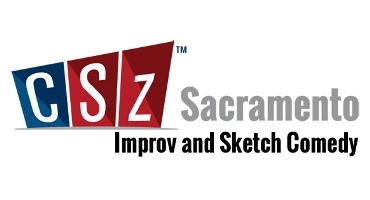 Unlike most other forms of performance comedy, CSzSacramento is great for all ages. Audiences include everyone from kids to college students to parents to grandparents. Everyone has a good time, and no one gets offended. If an act-lete steps beyond the boundaries of good taste, the ref calls the Brown Bag foul (a brown paper sack is placed over the offending player’s head). But if you think clean means boring, you owe it to yourself to check CSzSacramento out. It’s anything but boring! 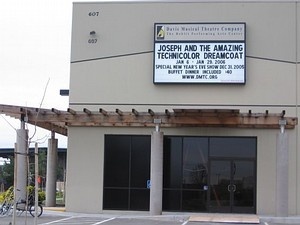 The Davis Musical Theatre Company built this 240-seat theatre in East Davis in 2005. It has stadium-style seating (so audience members can more easily see over the head of patrons in front of them), convenient parking, a larger lobby, and larger restroom facilities than the Varsity Theatre. 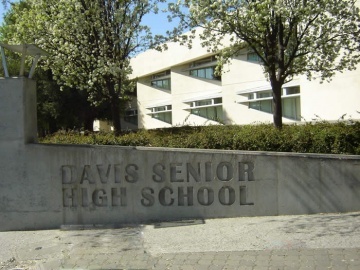 One unique architectural item on the Davis High School campus is the performing arts facility. Completed in 2005, the building cost around 9.3 million dollars to build. It features an auditorium for shows, side rooms for class rooms, and other features. In addition to the 515-seat theatre, two music rooms are located next door. One is used as an instrumental rehearsal room and the other is for vocal music. 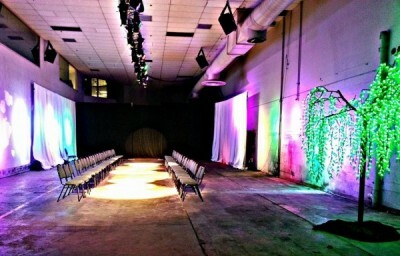 The theatre is availiable for rent to all types of performers. 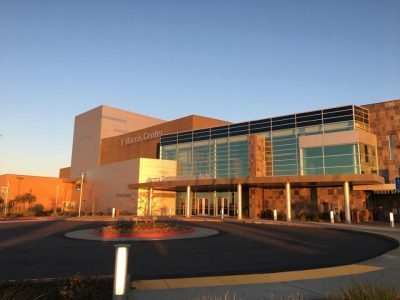 Folsom Lake College, part of the Los Rios Community College District, inspires excellence and provides educational opportunities to enrich and empower students. It is home to the Three Stages Performing Arts Center. Folsom Lake College provides: -Rigorous academic programs for completion and transfer; training to enhance employment and career skills; preparatory programs for student success; and opportunities for lifelong learning and enrichment. 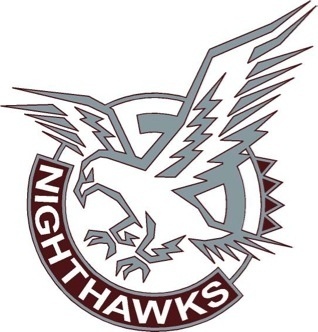 -Comprehensive support services to promote the success of all students. -Opportunities for leadership; professional development; and involvement in the college and community. -A collaborative and innovative environment that promotes personal interaction as the foundation of learning; honors diversity; cultivates sustainability; and encourages civic engagement. 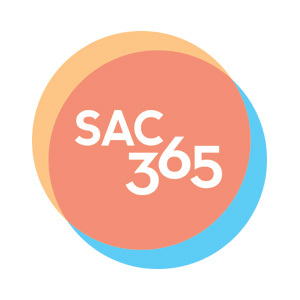 The Sacramento Community Grange is a place where people can exchange ideas, come together for social events, get involved in the community and have fun. The organization concentrates on bringing high quality theatre to to community with the Grange Performing Arts Center. 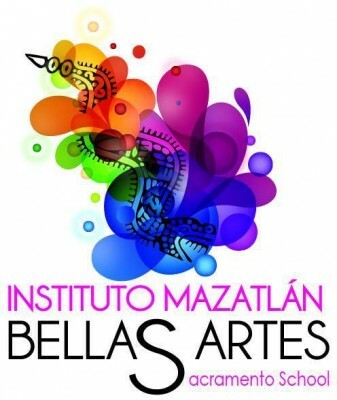 Instituto Mazatlan Bellas Artes (IMBA) Center for performing arts has learning programs for youth and adults, in Classical Ballet, music (both instrument and voice) and Mexican Folkloric Ballet. IMBA also features an adult performing company, Ballet Folklorico de Sacramento, which trains it's own artists and creates its own original dance works. One of the most recognizable and beloved buildings in the region, the Sacramento Memorial Auditorium is listed on the National Historic Register. The auditorium was constructed in 1926 and opened in February 1927. For eighty years the Memorial Auditorium has drawn audiences to a variety of events, from big bands and violin virtuosos to the Beach Boys and Rolling Stones. The Memorial Auditorium is a sentimental venue for the many thousands of graduates from regional high schools, colleges, and business and professional schools that hold their commencements each May and June in the building. It has lived up to its mission as a multi-purpose venue, as it still serves as the venue of choice for not only entertainment and sporting events but meetings, conferences, banquets, receptions, and speaking engagements. 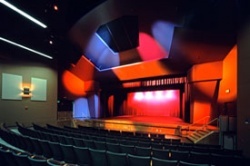 The Mesa Verde Performing Arts Center is located on the Mesa Verde High School Campus. It is accessible to persons with disabilities. 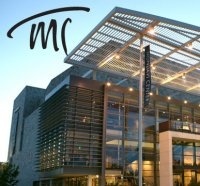 Mondavi Center offers a number of rental spaces for performances, banquets, meetings, and other events. 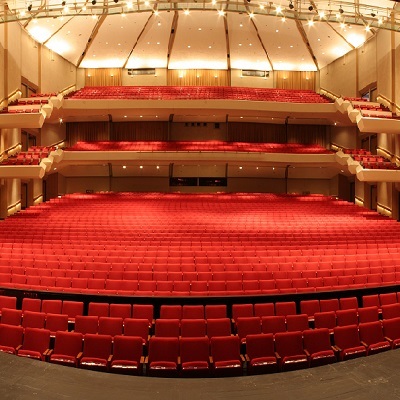 With 1,801 seats, Jackson Hall is the larger of the two venues located within the Mondavi Center. It is known for its state-of-the-art acoustics and gorgeous design. Located in the Robert and Margrit Mondavi Center, the Vanderhoef Studio Theatre provides an intimate space for viewing performances. 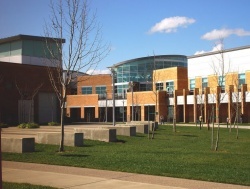 Natomas High School Performing Arts Theater is home to the Natomas High School department of visual and performing arts. Oak Hills has been an active part of the the Folsom community for almost 25 years. Their first worship service was in 1984, and through that time, they’ve met in a storefront, a high school cafeteria, and at another church in the afternoons before settling in at their present location. Oak Hills has been at its current location, a 16-acre campus, since 1993 and have worshipped in their current auditorium since 2000. Of course, a church is not defined by its building but by its people. And you will find that some of the finest people on the planet call Oak Hills Church their home. To really experience who we are, we invite you to join us, either at our Sunday services, our special events, our weekly small groups, Bible studies, or mid-sized gatherings (MSGs). The Unsing Auditorium at the church is home to productions by performing arts and theatre groups.